In our Expert Talks Series we interview leading industry experts in the fields Video, Animation and Virtual Reality. 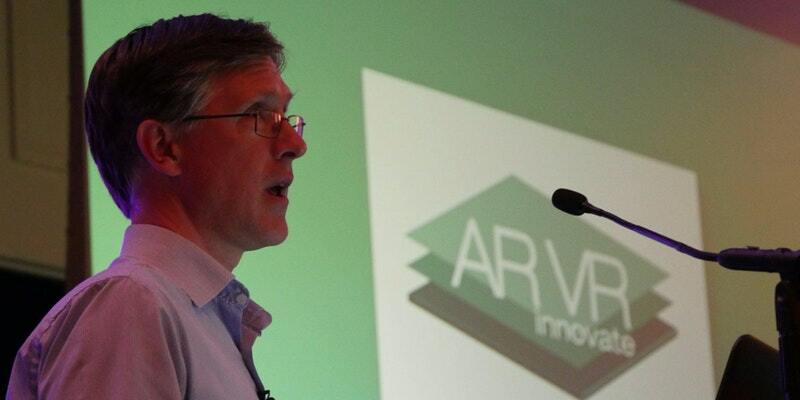 Today we caught up with James Corbett, one of the leading protagonists of Virtual Reality in Ireland. 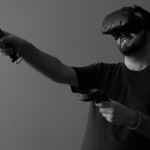 His company, Simvirtua is a VR & AR software development studio and consultancy. They create VR solutions across a broad range of sectors from marketing and healthcare to manufacturing. I have a degree in Computer Engineering from UL and a Graduate Diploma in Marketing. My first job, in 1995, was in a marketing role and I had the opportunity to introduce the company to the brand new World Wide Web and build a website for them. After that, I fell into the spell of the multinationals for a while and went from Apple to Motorola to Analog Devices in quick order, lured by the ideal of an ‘attractive career path’. I snapped out of it in late 1999 just as the millennium was approaching. There was a lot of ‘end the world’ weirdness in the air at the time and it seemed like as good a time as any to have a mid-life crisis. Besides, I’d finally figured out that no amount of salary and stock options at a multinational could squeeze job satisfaction out of a closed off cubicle. I needed to get closer to the customer, to build things and to be my own boss. What was your own first experience of Virtual Reality? Like a lot of tech nerds my age, I was a huge fan of Star Trek: The Next Generation, and of all the wonderful technology ideas in that programme, the one that most fascinated me was the Holodeck. The idea of being able to walk into an empty room only to have the computer create a fully believable simulation of anywhere was truly inspiring. I remember buying a book called ‘Disclosure’ in 1994, written by Michael ‘Jurassic Park’ Crichton because I read a review in a computer magazine that focused entirely on the book’s major plot device called ‘Virtual Reality’. That was my first time coming across that term, which they compared to the Holodeck on Star Trek. That book was turned into a blockbuster movie starring Michael Douglas, Demi Moore and Donald Sutherland and it’s incredible how accurately they depicted the hardware side of VR. It was really quite prescient. In about 2005 I got interested in the ‘virtual world’ of Second Life primarily because it seemed to me like the first contender for a multi-user VR platform (little did I imagine it would still take another decade for the consumer headsets to become a reality). Myself and a friend – Gabriela Avram – started an annual conference in University of Limerick in 2008 that we called 3DCamp and focused on “the internet beyond the 2D browser”, in particular virtual worlds and the metaverse. The following year the principal at Gaelscoil O’Doghair in Newcastlewest – Daithi O’Murchu – twisted my arm to do some IT support and ‘future gazing’ in that primary school. Along with a friend of mine – Keith Kennedy – we spent many hours discussing how IT might change education and what kind of technologies the kids there might find in the workplace by the time they got their first jobs. I had seen how the education community in The States had taken in a big way to Second Life and suggested we bring it into the school as a kind of ‘digital lego’. Only not Second Life per se, but its open-source close – Opensimulator – which we could install on our own server and gave us much better privacy controls and security for the kids. As you’d expect the kids loved it, but to our delight the teachers loved it too. They saw how it served as a creative outlet for kids of all abilities and aptitudes. And that positive experience lead me to setting MissionV Education Ltd., a non-profit, with Ennis woman Margaret Keane, the founder of GiftedKids. The Department of Education and Skills, through their technology unit, the National Centre for Technology in Education, realized that a collaborative 3D learning environment was very much in line with their thinking around the Project Maths curriculum in particular so they funded us to run a 20 school pilot programme nationwide. 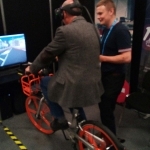 We brought John Jennings – a lecturer in multimedia at LIT – on board as our CTO and he built a scalable Opensimulator platform and management tools that allow us to offer a massive shared virtual worlds to the schools. How far away are we from Virtual Reality having its breakout moment and being used as regularly as AR? If we’re talking about AR being used on a daily basis I assume we’re talking about Snapchat World Lenses? I’m glad to see that VR is being used on a daily basis for much more important things than rainbow filters but mostly in workplace scenarios that don’t generate the same level of hype as consumer facing uses. Just one example of that Volkswagen Group is going to train 10,000 employees in VR this year. I don’t know what defines a breakout moment but that seems like a very big deal to me! Who will be the early adaptors in terms of industry? Do you feel the tide turning? I think the low-hanging fruit of VR/AR is engineering and training. Anything that’s done on a computer with CAD today is a candidate for interaction in VR/AR tomorrow. That means practically every engineering discipline, construction, architecture and so on, and many special aspects of training are a natural fit. After we rebooted as a for-profit called Simvitua Ltd, supported by Enterprise Ireland on the New Frontiers programme, we prototyped a Health & Safety Training system for the ESB where we brought the trainee’s hands into the VR such that they could develop a ‘muscle memory’ for a particular procedure in a control room. Embodied cognition can dramatically improve knowledge retention particularly where there’s an aspect of physical choreography to the training. Mental training can also benefit hugely from the immersive qualities of VR. 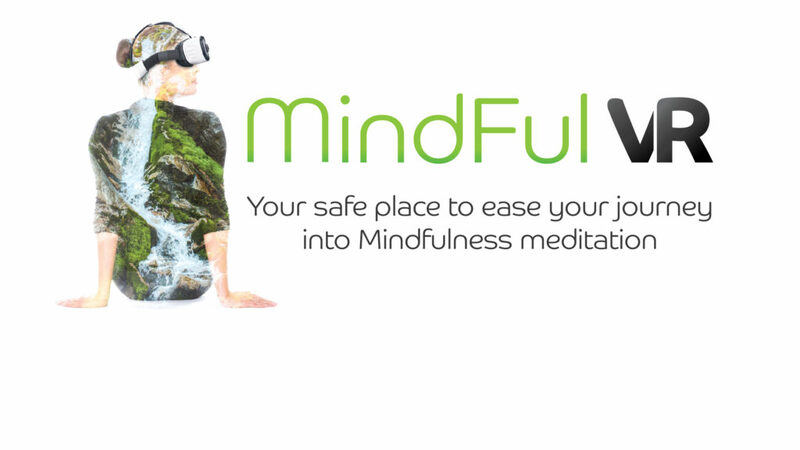 We built an app called Mindful VR for Sligo based MindMyths in 2017 which the captain of team Eire4Everest used to prepare mentally for competing in the world’s highest marathon. For our readers who are not aware, can you tell us about your 3DCamps? May 24th marks the 10th anniversary of the very first 3DCamps at University of Limerick. This is an event I started with Gabriele Avram who lecturers in interaction design at UL. During conversations we had at the time, it became clear that we were both somewhat frustrated with the obsession at the time around Web 2.0 and the idea that it represented a next generation internet. For my part, I was hopeful that immersive 3D virtual worlds like Second Life signalled a better ideal for the evolution of the web. So we decided to start our own annual (at the time) event to explore subjects like cyberpsycholoy, interaction design, 3D modelling, 3D printing and yes, Virtual Reality, among other things, especially VR & AR software development. A few years ago the pace of change in these intersecting technologies became so fast that we decided to initiate more regular meetup events and in different cities. I met Gleb Lebedev (now a software engineer at Microsoft) at DublinMaker in 2014 where I was showing off our first Oculus Rift Developer Kit. We had a terrific chat about VR and he agreed to bring 3DCamp to Dublin. Initially our meetups were hosted by Google, then Daqri and now by Workday. 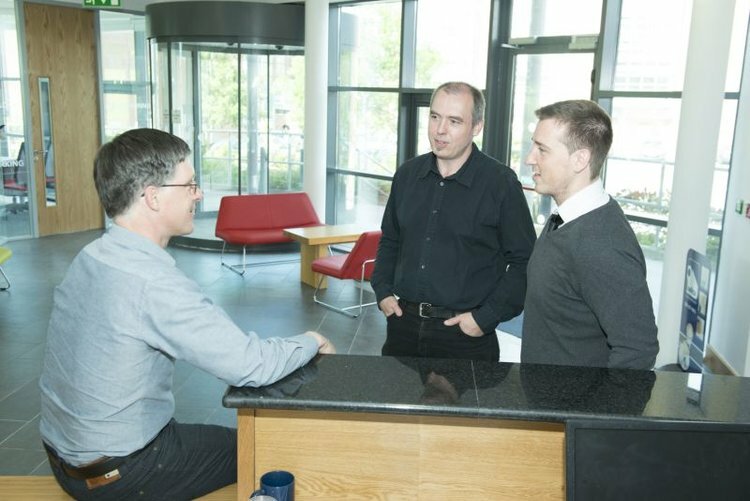 We’ve been extremely lucky with the support we’ve been given, especially by Paul Power and his team at Workday which is a fantastic building for our events. In 2017, we started doing co-hosted events with Nikki Lannen’s Irish VR and now we’re 170+ people attending every 2 or 3 months. We also hold a few meetups in Limerick every year and would love to hear from people who’d like to run 3DCamp events in their own towns. Success like David Whelan’s IPO with Immersive VR and Camille Donegan at a national level bode well.. will 2018 be a seminal year for industry growth? I really believe it will. I know I’ve probably been saying something similar for the last couple of years but there are so many developments happening in 2018 that I genuinely think it’ll mark a real infliction point. Primarily, I’m referring to the launch of two breakthrough headsets – the Oculus Go and the HTC Vive Focus. The former is the first high-quality standalone headset at a great price point. The latter is the first standalone headset with full 6-DoF (Degrees of Freedom) tracking. Together they will, I believe, accelerate market adoption and take VR to a very healthy place by the end of the year. To keep up to date with the work of James and his team at Simvirtua, you can follow them on Twitter here.